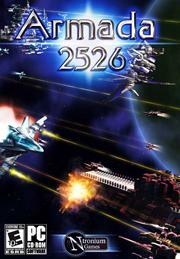 Armada 2526 is a 4X turn-based strategy released by Nitronium Games in 2010. It continues the tradition of space strategy games, where one of several alien races vie for control of the galaxy. It was followed by an expansion, Armada 2526: Supernova, in 2011. This page was last edited on 1 October 2016, at 18:27.